The pushup is quite easily one of the best exercises athletes can do. Most will only associate pushups for the chest, and triceps. But it’s a great exercise for the total body and even more so the upper back. Reaping the benefits of the pushup means focusing on correct technique first and foremost. Quite possibly the best part of a correct pushup for my athletes is the scapular protraction we get at the top of the movement. Why is this important? It activates the serratus anterior. 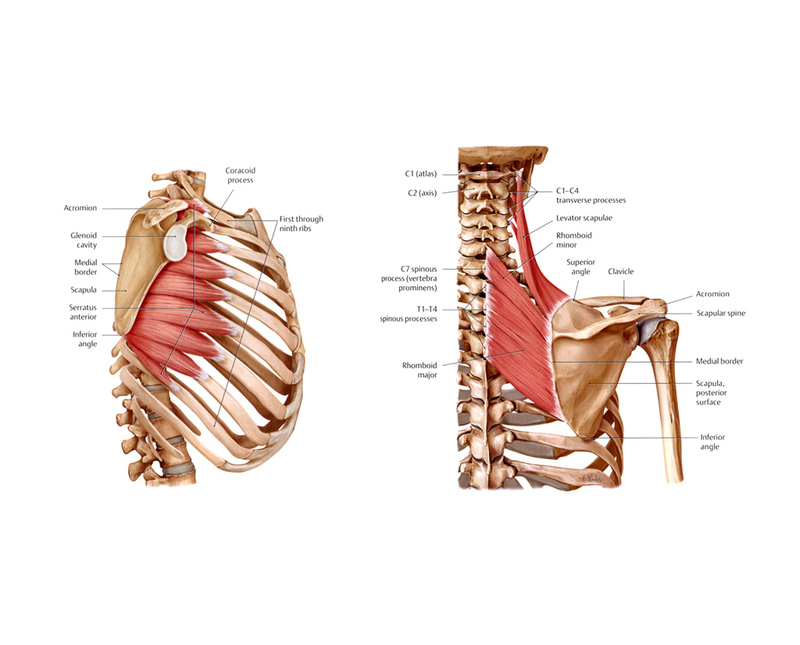 If you didn’t know, the serratus is a commonly inactive muscle that is extremely important for any overhead athletes, throwing and non-throwing. Dysfunction in the serratus causes the scapula to wing out, and creates instability where we want stability at all times. The function of the serratus is to help assist in upward rotation of the scapula. We want upward rotation in order create space for the glenohumeral joint and avoid impingement when we raise our arm. Very very important for overhead athletes! aka: pitchers, throwers, etc. Where the benefit lies is trying to push as far away from the floor as possible at the top of the pushup. Many athletes fail to get the benefits of the pushup by not completely finishing the rep. They may have locked out the arms but by letting the upper back sag in instead of extending out the serratus is deemed inactive. Also, don’t let the lower back, and/or torso sag to the ground. Doing so not only hurts your efforts to fire the serratus but isn’t doing your low back any favors. When this happens the scaps go into anterior tilt and the serratus is shut down once again. 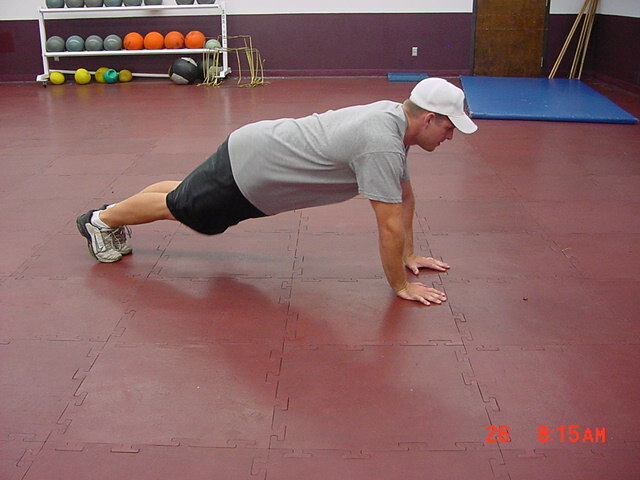 Many coaches have heard of the pushup plus exercise where the athlete does a pushup to extension then pushes their shoulders out a bit more. To me this is how a standard pushup should be done. Once your athletes have mastered the standard pushup, elevate their feet onto a 12″ box. Serratus activation is highest in the feet elevated pushup position. I could go on and on all day about the benefits of the pushup and why all your athletes should be perfecting them. But I’ll leave the rest for a future article on the subject.